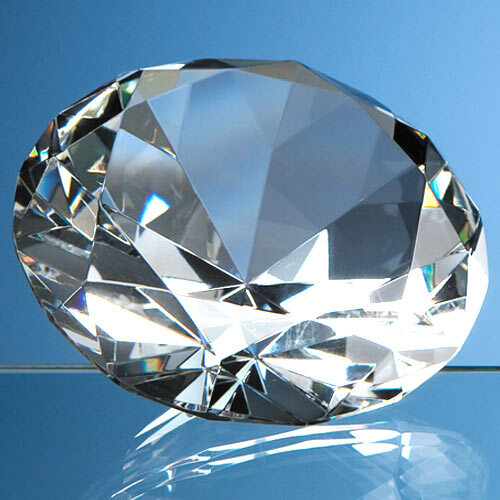 The optic diamond gives a brilliant effect when light reflects off the many facets that have been hand cut and polished around the paperweight. There is a flat area on the front of the paperweight that can be engraved with any message or logo to make a gift that is sure to be treasured by it's recipient. The paperweights are available in 3 sizes and are supplied in presentation boxes.